Washington lobbying is a kind of salesmanship, and acting is, too. 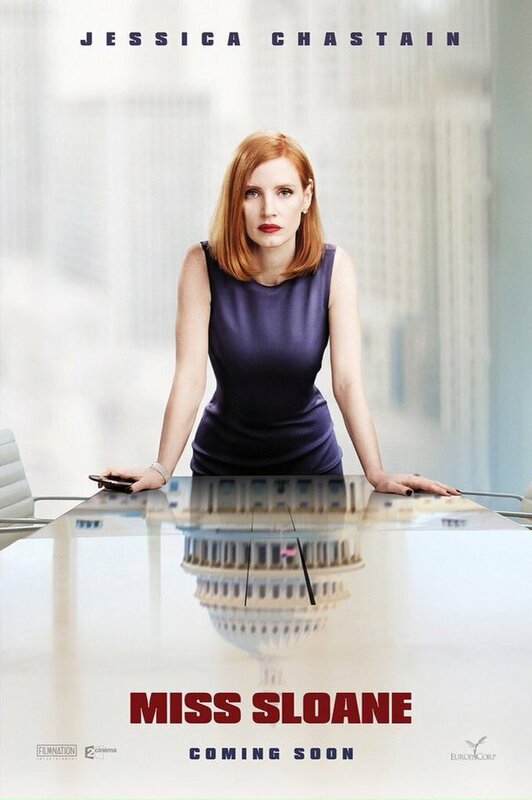 In John Madden’s Miss Sloane,Jessica Chastain—as Elizabeth Sloane, a fierce lobbyist who will do anything to get the job done, though she’s also guided by her own set of immutable, sometimes enigmatic principles—is selling something big-time. 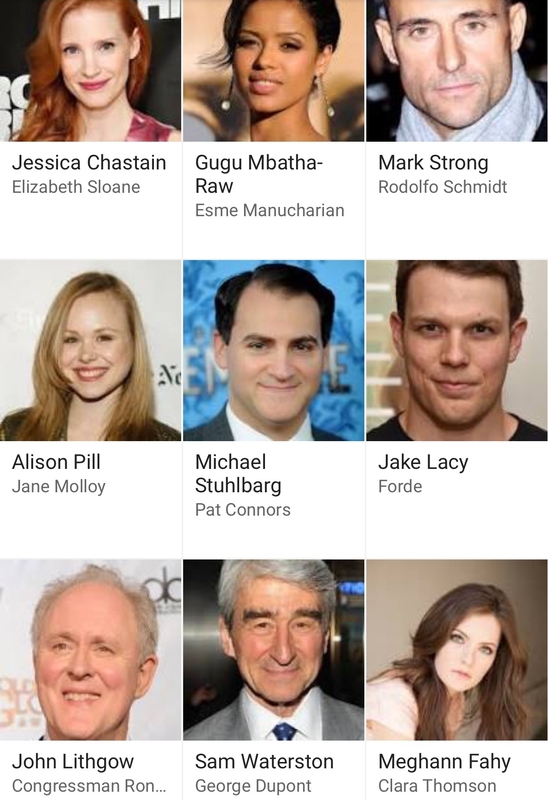 She’s the key to the movie. Elizabeth Sloane works for the top, and the toughest, lobbying firm in the city, and she’s driven to win. But when she’s asked to work out a way to get women to oppose a bill that will restrict gun sales, she blows her carroty top, much to the dismay of her boss (a slithery Sam Waterston). Not long after, another male authority figure (Mark Strong), lures her to a much smaller firm: Her job is to sell the bill that her old firm is trying to smother. Her old boss sets out to destroy her, impugning her ethics and her character, which means she’s not just fighting to push her bill through, but to define her own notions of how far she’ll go for her job—and whether that means using and betraying one of her new employees, a gifted and dedicated worker (Gugu Mbatha-Raw) who approaches her job using both her soul and her brain.